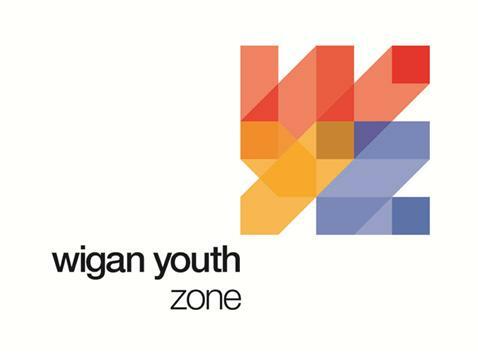 Wigan Youth Zone is a registered charity, providing the youths of Wigan with a welcoming environment, seven days a week. As the biggest youth club in the country, the facility aims to support the development and welfare of the young people in the community, and offers a range of activities including cooking, sports and fitness, dance, computing, and a climbing wall. Launched in June 2013, following a £6.3 million investment, the Wigan Youth Zone is now the largest youth club in the UK. The Youth Zone can receive anything from 400 to 700 youths per day, and aims to provide a safe environment where kids can relax, learn, and ultimately have fun. At the design stage of the Youth Zone it soon became apparent that a comprehensive IT network was needed, along with a digital display and audio system. After learning about the new development, WN1 IT were keen to be a part of a project that would significantly enhance the local community. WN1 offered to provide their IT services free of charge as a good will gesture, demonstrating their commitment to Wigan’s local community. As Wigan Youth Zone were so impressed with WN1’s professional services, an initial meeting then took place to discuss the concept of the system, and the subsequent functionality needed to make it a success. A comprehensive IT network was needed to provide the backbone of the operational functionality behind the centre – therefore it was integral that the system was sophisticated, user friendly and tailored to meet the individual needs of the club. The system would also provide the younger members with an invaluable resource to develop new skills and use at their leisure. WN1 IT instantly recognised the importance of a user friendly IT network, and designed a bespoke specification to meet the exact requirements of the Youth Zone. WN1’s recommended specification was designed to provide a versatile system to suit all areas of the centre, and included a 40 strong computer system. The successful operation of the Youth Zone relied significantly on a simple management software for the rapidly growing membership database. WN1 IT incorporated software into the computer system that was simple to use with little training required. This would allow staff to be more productive and manage the information efficiently. In addition, WN1 IT proposed audio and digital display systems to enhance communication between members and staff. WN1 IT designed the system to include a digital display which would be a vital element of the Youth Zone as the display would be utilised as the main form of communication to the Youth Zone members. As well as televisions in lounge areas, the digital display would also feature key information regarding classes, activities and public announcements. A state of the art audio system was also needed throughout the Youth Zone to feature in the sports areas, dance studios, and the gym. WN1 IT continue to provide professional IT support to Wigan Youth Zone as a Gold Patron, and provide them with total peace of mind that constant support is available. WN1 IT pride themselves on delivering exceptional customer service, developing new software, and providing professional and efficient IT support to all their clients. They are able to deal with 95% of IT issues remotely, meaning solutions are implemented quickly and effectively, with no need for call outs – which avoids any disruption in the office.